Senior communications and history co-major, Emily Durell, has explored hundreds of WWI European postcards that — using images of children and families — depict visions of masculinity, the concern about the of the future of countries, strained relationships between the battlefield and home front and changes in family dynamics. The postcards were originally inherited by Albright Professor of History Guillaume de Syon, Ph.D., and shared with Durell at the beginning of her junior year. 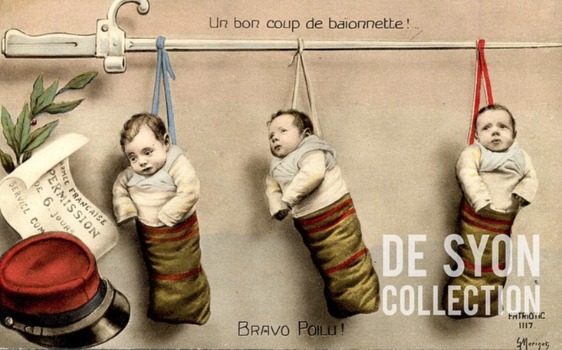 Having had prior knowledge of German history from coursework with de Syon, Durell was immediately fascinated by the recurring theme of children on the postcards. “This seemed to be an incredible opportunity to work firsthand with historical artifacts and learn how they relate to what I’ve learned in both of my fields of study,” says Durell.